Mumbai-based blockchain startup Elemential has raised an undisclosed sum in a round led by venture capital firm Matrix Partners India, a company statement said. The other investors who participated in the round include a mix of venture capital firms and individuals such as early-stage fund Investopad, New York-based VC firm Digital Currency Group, the Hinduja Group, Lightspeed India, and Eight Innovate. Amit Ranjan, co-founder of professional content sharing platform SlideShare; Prashant Malik, angel investor and co-founder ofLimeRoad; Amrish Rau, chief executive at PayU; and other angels also invested in the company. The investment was made via AngelList and is its first syndicate in India. The firm will use the funds to develop its team, Raunaq Vaisoha, co-founder and chief executive of the firm, told TechCircle. He did not disclose the deal value. “Blockchain is the next big infrastructure shift in technology and we are looking to invest in startups that are capturing value at the core infrastructure, middleware or application layer,” said Rajat Agarwal, vice president, Matrix India. Elemential is a blockchain administration platform that helps developers manage blockchain networks at scale. The startup does this through its products Hadron (orchestration tool) and Elements (building blocks) that help build scalable blockchain applications. The firm works with the National Stock Exchange of India and several other pilot customers across use cases varying from KYC, trade finance, reconciliation, consent management, etc. 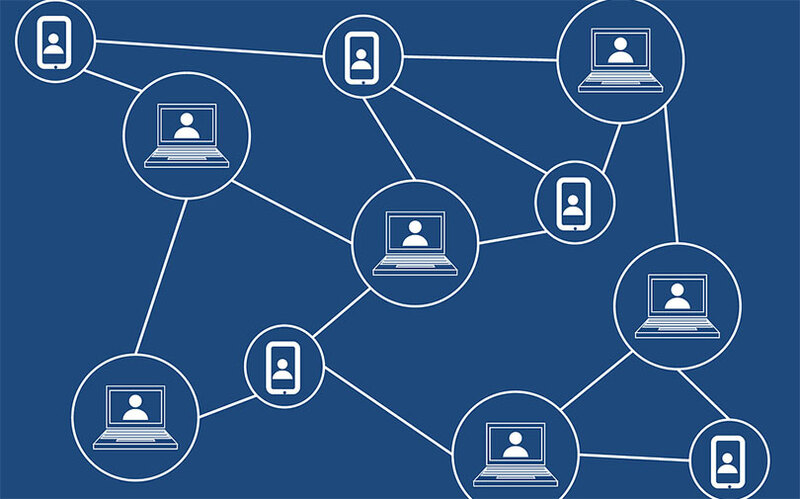 “Blockchain orchestration and management is a fundamental challenge in the blockchain ecosystem that’s a roadblock to scalable implementations. With Hadron, our focus is to make managing a blockchain network an easy process with a short learning curve,” Vaisoha said in the statement. The firm was founded in 2018 by Vaisoha, Anil Dukkipatty and Sahil Kathpal. A finance graduate, Vaisoha served as the blockchain project manager for NSE before setting up Elemential. He has interned at Chinese VC firm Indorama Ventures and Mumbai Angels and worked as a writer at the Bitcoin Alliance in India and CoinTelegraph, where he was also a partner for blockchain hackathon HackCoin. Dukkipatty, an IT graduate from the University of Mumbai, first served as a full stack developer for Aurum Communications and then joined Esscale Digital as chief software architect before co-founding Elemential. Kathpal, an engineer from Thadomal Shahani Engineering College, worked at Brand Recognition Systems before establishingthe startup. Last week, Singapore-based blockchain firm ZPX raised $1.3 million (Rs 8.4 crore) in a round led by venture capital firm SeedPlus. Silicon Valley-based Milliways Ventures, Gokul Rajaram (product engineering head at Square), and Girish Mathrubootham (co-founder of Freshdesk), Anand Lunia (co-founder of India Quotient) and Nithin Kamath (founder of Zerodha) also participated in the round. In March, Mumbai-based blockchain startup Nuo Bank raised $250,000 (Rs 1.6 crore) from payment gateway firm PayU India’s Amrish Rau and managing director Jitendra Gupta. The startup is a blockchain- and cryptocurrency-based virtual bank which operates a decentralised crypto-banking platform. Also last month, Mumbai-based blockchain firm Aetlo Tech was acqui-hired by UK-based banking and financial services company Page Solutions. In February, business-software maker Workday, Inc. announced it had set up a $250-million (Rs 1,606 crore) venture fund to invest in early-stage and growth-stage startups operating in artificial intelligence, machine learning, blockchain, augmented reality and virtual reality, in order to come out with enterprise solutions. Last week, the Reserve Bank of India barred banks, non-banking finance companies and other entities from engaging with firms and organisations associated with cryptocurrencies. In response to the prohibition, Indian cryptocurrency exchanges are considering shifting their operations out of the country, while some plan to legally take on the RBI.